As the summer approaches I am happy to announce that I took the step of hiring someone to put in the septic field/tank. 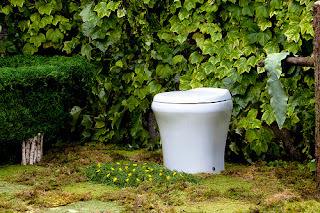 It is something I dragged my heels on as I really do believe that on an island that needs to conserve water that top of the line composting toilet systems would be a much more sane way to go. I fully intend to put in a two toilet composting toilet system from Sancor. These toilets use only 1/2 cup of water per flush. However, I realize that such changes if they ever occur to the bylaws will be slow in coming and that I will have to conform and put in my septic system in order to build this summer. I am happy that Matt Taylor has agreed to put it in for me. I have yet to meet him, but he and Andrew Money, the engineer, are in the process of designing the system and I hope to hear it is going in soon. How to mix cob, filmed in Summerland.